If you like views then there are some spectacular ones to see from here across Start Bay and the Dart Estuary. 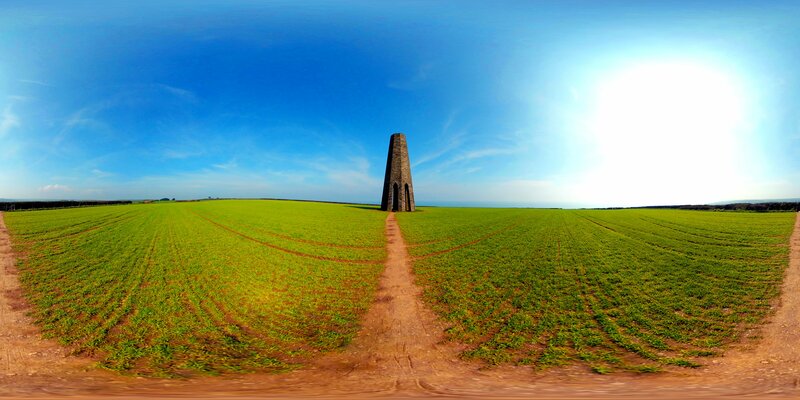 The Daymark was built as a guide to mariners so they could see the notoriously difficult harbour entrance. It can be seen for many miles out to sea. Depending on the time of year it’ll be surrounded with lush long grass, bales of hay or red earth. As you can see in the shots, I was here in spring and the grass had just started to grow. As I walked down the track from the car park, there was one huge puddle to navigate that took up the entire width of the road and then some, so if you come after previous rains you might not want to be wearing flip flops like me. As you do walk the path you’ll notice old concrete posts and wire fencing, these give you a clue as to what once took place here during the Second World War. 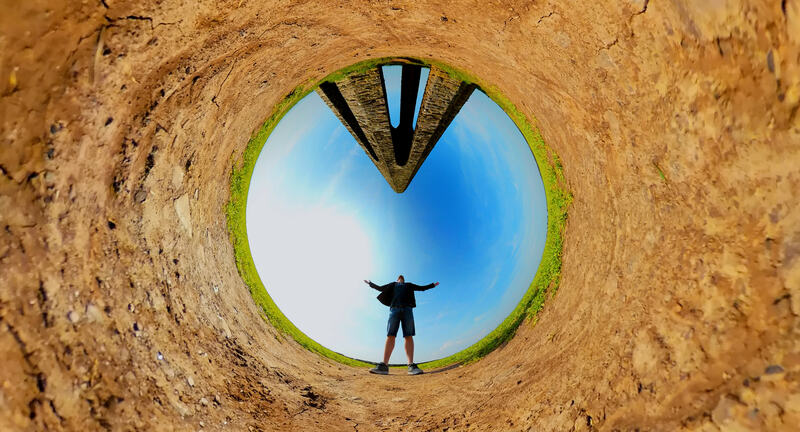 In the 1940s, the track provided access to the emergency coastal battery at Froward Point, known as Brownstone Battery, which is further down hill passed the daymark. 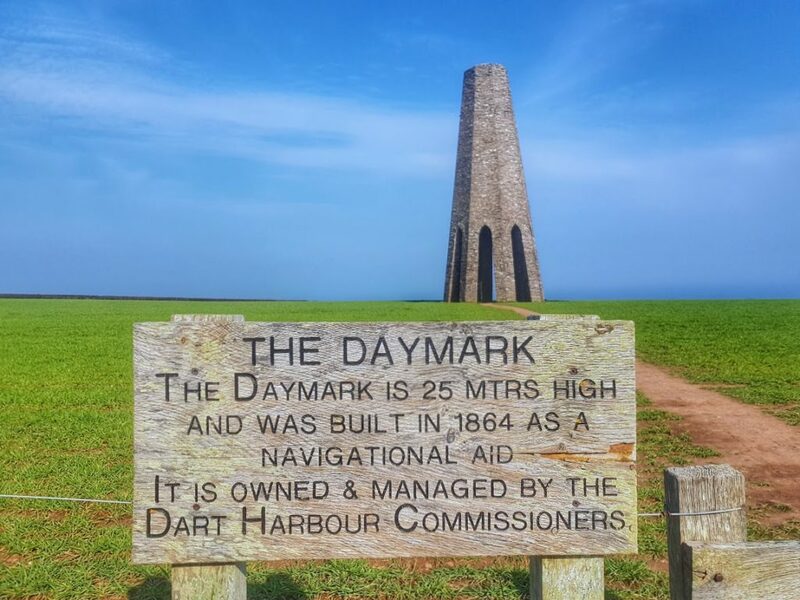 The Daymark was built in 1864 by the Dartmouth Harbour Commissioners. It’s a 24m (80ft) constructed of local limestone and slate. It is octagonal and sharply battered with a truncated open top, and has a tall narrow pointed head arch on each side, forming eight stilted pillars. In 1863, Charles Seale Hayne, the owner of Brownstone at that time, became a founder member of the Dartmouth Harbour Commission, whose main aim was to improve access and facilities to Dartmouth harbour. 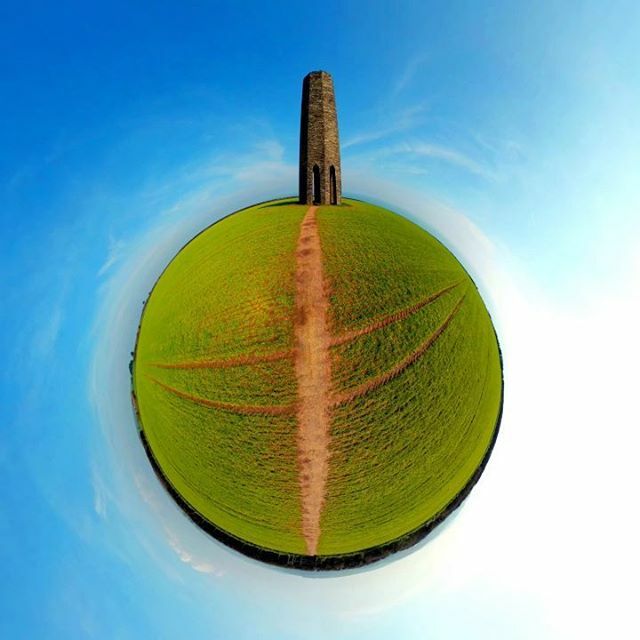 The following year, Seale Hayne leased land for the erection of this tower as a day beacon. 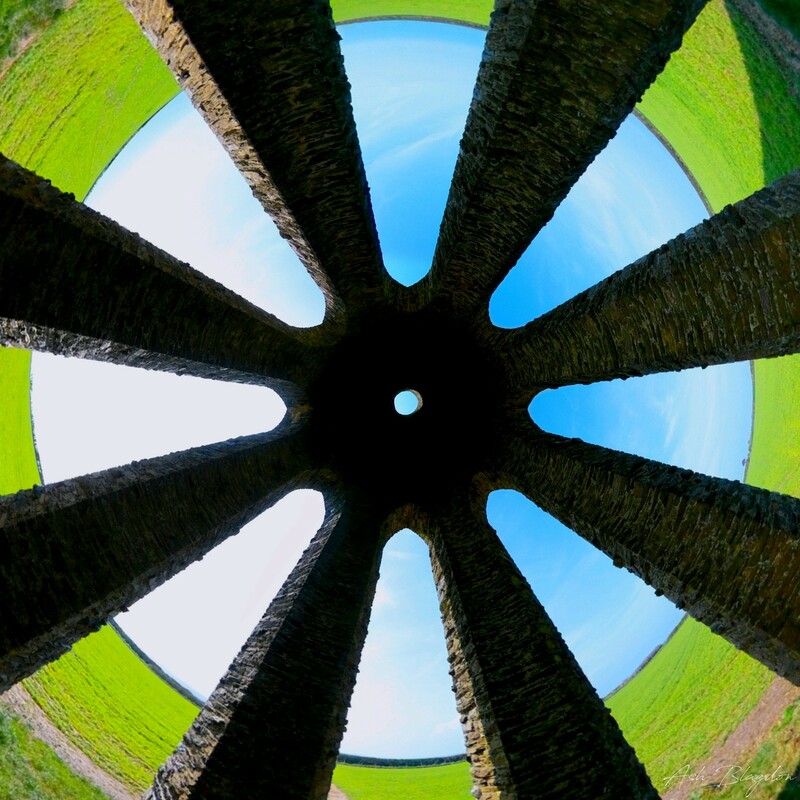 There aren’t any things to do as such by the Daymark other than admire the views and architecture. Go to Kingswear for more details. 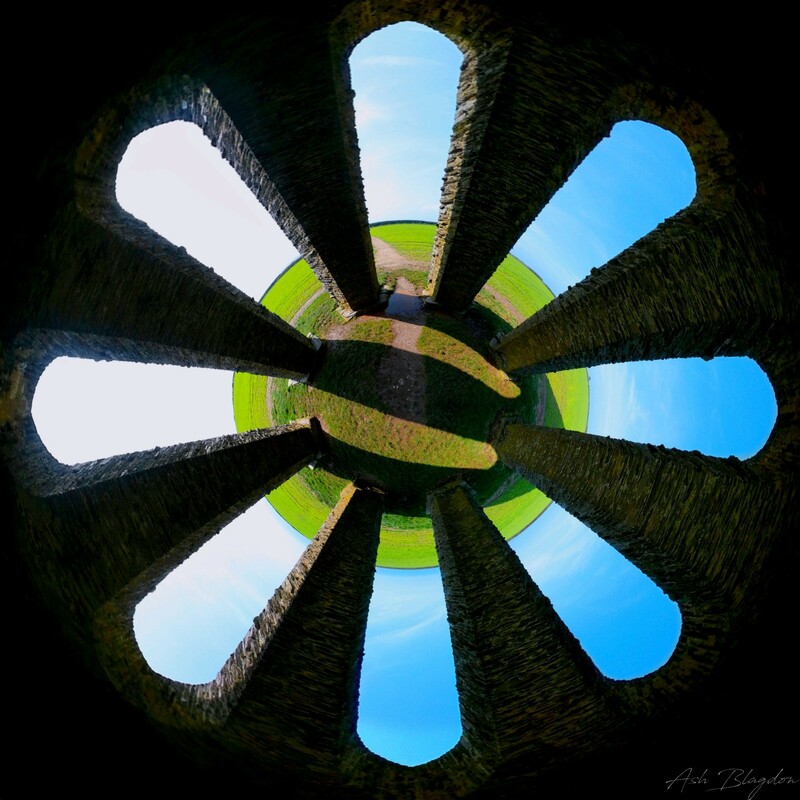 There are no facilities at the daymark, so bring some bottled water or snacks with you. Go to Kingswear for more details. I drove and parked in the car park at Brownstone. Its then only a short walk on a single track tarmacked military road. Just be aware that I went after it had previously rained, there was a large puddle that covered the entire road and I had to carefully scramble around the edge of the field. Other than that it’s easy access. A short easy walk from Brownstone car park. Carry on down the hill to Froward Point and the old WWII Battery. 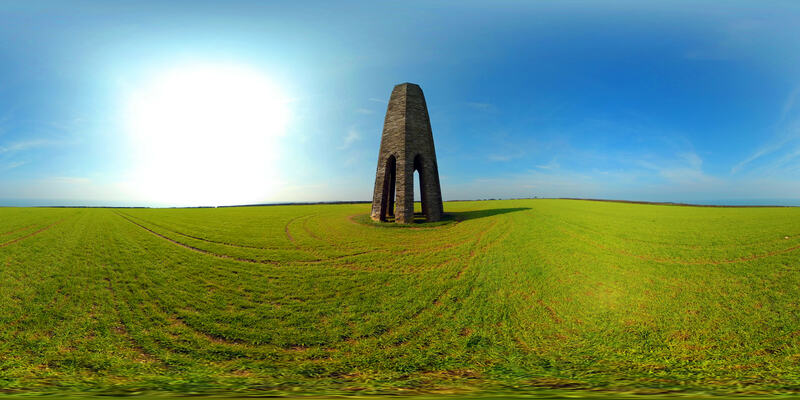 Have you been to The Daymark? Did you like the views?